The FBI insists it has no problem going after senior officials when it comes to mishandling classified information. The prosecution of Gen. James E. Cartwright is the legendary agency’s example. While the two highest-profile officials recently investigated for mishandling classified material, Hillary Clinton and David Petraeus, got off relatively scot-free, the FBI’s prosecution of Cartwright “reeks of political considerations,” Josh Rogin wrote in an opinion piece for The Washington Post on Oct. 18. “Cartwright’s greatest mistake was not talking to reporters or lying about it; he failed to play the Washington game skillfully enough to avoid becoming a scapegoat for a system in which senior officials skirt the rules and then fall back on their political power to save them,” Rogin wrote. Under his plea deal, Cartwright could face up to five years in prison and a $250,000 fine. 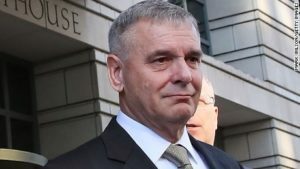 Cartwright, once known as “Obama’s favorite general,” pleaded guilty on Oct. 17 to the felony charge of lying to the FBI during its investigation into the leaking of classified information to two journalists about covert operations against Iran. Cartwright “was short on high-profile Washington friends,” Rogin wrote. The FBI emphasized that the prosecution of Cartwright showed that the Justice Department is willing to go after senior officials. “The FBI will continue to take all necessary and appropriate steps to thoroughly investigate individuals, no matter their position (emphasis added by Rogin), who undermine the integrity of our justice system by lying to federal investigators,” said Assistant Director in Charge Paul Abbate.